Here you can specify the SFTP server settings. 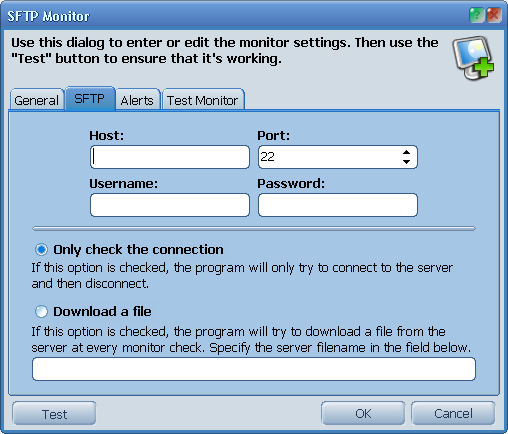 ProtoMon can just check the server's availability or it can download a selected file on every monitor check. Also the program can check the content of the downloaded file using the powerful boolean expression filter.